Dr. Jean F. Coppola has always been a trailblazer in her various endeavors. Before pursuing an academic career as a technology professor and obtaining her doctorate, she worked at Pace University's Division of Information Technology (now the Information Technology Services) as one of its technology specialists heavily involved with computers and networks. It was not unusual for her in those early days to be found crawling under tables, working with network cables, installing hardware, or tracing electrical outlets along walls and ceilings and even underneath floors. When computer technology was primarily predominated by men, Dr. Coppola was not only an active member of computer staff but was also heading her own unit. Nowadays, as a professor in the Seidenberg School of Computer Science and Information Services, she is very much involved in the budding field of gerontechnology. She has been a much familiar face in local television and oft quoted by news services on features dealing with this discipline devoted to the developement of technology skills among senior citizens and the older adults. 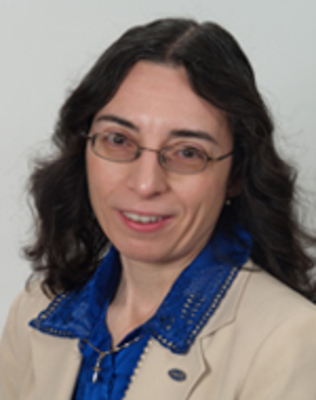 A description about her in the eCommunique of the Seidenberg School of CSIS says "Dr. Coppola has become a recognized leader in the emerging field of gerontechnology research, defined as the study of technology to promote the cognitive health of older adults and has won numerous awards, received significant press coverage, and granted modest research monies for her work. In mid-March, she, along with representatives from the other organizations that comprise the Consortium for Multi-faceted Gerontechnology Research located in Westchester County, will receive the 2009 Mind Alert Award for General Mental Fitness. Specifically, the award recognizes the research program in intergenerational computing that was conceived and implemented by Dr. Coppola. Begun in 2005, the program was designed to bridge the "digital divide" between older adults by enabling them to access and use computer technology. To learn more, go to Research Team Recognized for Work in Gerontechnology." eCommunique (Seidenber School of CSIS), Spring 2009.